A Methuen police officer wrote a citation in August 2016. In cash-strapped Methuen, where the average resident earns just under $32,000 a year, five police captains stand to each make a whopping $432,295 a year under their new contract, according to an analysis by the city auditor that has outraged residents and officials. The pay would make the five captains the highest-paid police officers in the state, giving them salaries that would exceed Governor Charlie Baker’s annual pay of $151,800; Boston Police Commissioner William B. Evans’s salary of $238,846; and the $386,829 collected last year by the highest-paid state trooper, outgoing Superintendent Richard McKeon. Some city officials argue the pay increases for captains should actually be much lower, based on the presentations given to them when they approved the contract. But the possibility that such high salaries will be required when the raises go into effect July 1 has sparked finger-pointing at a time of fiscal distress in Methuen, a working-class city of 50,000. Just this month, city officials laid off 52 public school teachers, nine school administrators, and additional support staff as a result of a $6.5 million shortfall in the budget. That gap has already prompted city officials to discuss a possible $4 million loan from the state. Mayor James P. Jajuga, whose son is one of the police captains who stands to benefit from the pay raises, said he is hoping to reach an agreement with the superior officers’ union that would lower the salaries that captains, lieutenants, and sergeants would receive under the police contract that Jajuga voted for when he was a city councilor last year. Jajuga, who was sworn in as mayor in January, insists he and the other members of the City Council who voted unanimously for the contract were told by the previous mayor, Stephen N. Zanni, that it would grant the police raises of just 2 percent annually in 2018 and 2019. “He took Mayor Zanni at his word,” said Paul Fahey, Jajuga’s chief of staff. But the issue is not so simple. Over two dense pages of legalese, the contract does refer to 2 percent raises, but also includes a complex formula requiring officers’ benefits be calculated as part of their base pay, which means they are receiving a 2 percent increase on a much higher salary. The increase is then amplified by the fact that each rank, for the first time, must earn a certain percentage more than the one below it. So the sergeants’ base pay is increased to include their benefits, which is then used to calculate the base pay of the lieutenants, who then in turn would have their benefits added in when calculating the pay for captains. That creates what city officials call a “stacking effect,” which can lead to astronomically high salaries for the highest-ranking and longest-serving officers in the Police Department. The benefits include a dry cleaning allowance, a stipend for wearing body cameras, and bonuses for earning college degrees. The auditor estimates that Methuen’s seven lieutenants are owed raises of 104 percent, hiking their pay from $132,223 to $269,823, while the city’s 12 sergeants are due raises of 45 percent, boosting their pay from $110,390 to $160,018. The total cost of the raises would be $3 million for the fiscal year that begins July 1, city officials says. “It’s a huge concern and it’s elicited a lot of outrage from the mayor, the council, and the citizens of the city,” Fahey said. Jajuga argues, based on what he said was a more conservative reading of the contract, that the captains should see their pay rise only to $171,137, from their current salary of $153,585, while lieutenants would receive $142,788 and sergeants $115,737. 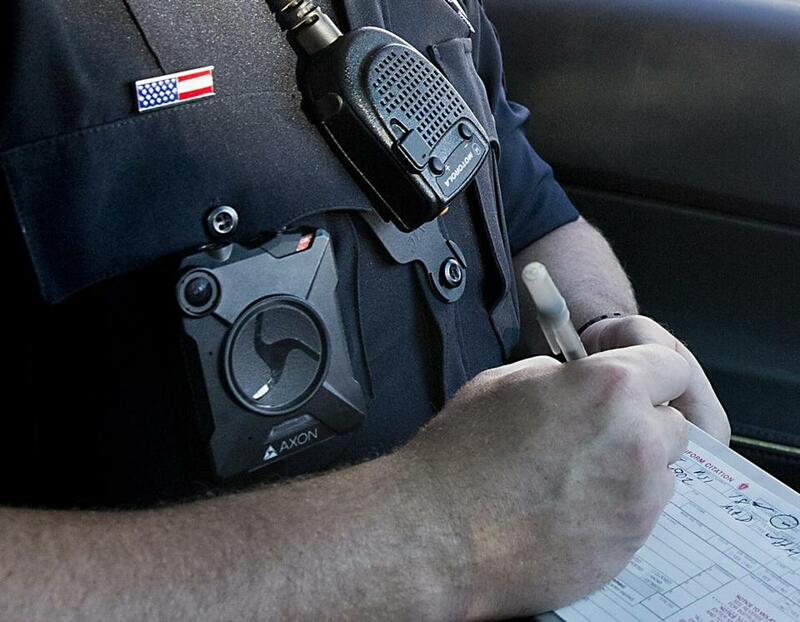 The Police Department has staked out a middle ground, saying its reading of the contract would hike captains’ pay to $192,926 beginning July 1. Ryan Michael Hamilton, a newly elected councilor, said he doesn’t believe the police union tried to “pull a fast one” when it negotiated the contract, but is frustrated that the mayor, the auditor, and the Police Department cannot agree on what the pay raises should actually be. The contract was approved by the City Council on a 9-0 vote last fall, but only after five councilors received special permission from the city solicitor to cast their votes. The five had initially recused themselves because three had family members who work for the Police Department, and two were going to move into jobs in the department, Fahey said. Without their votes, the council would not have had a quorum, he said. Zanni, the former mayor, could not be reached for comment, but he told the Eagle-Tribune that he blames his negotiating team and the auditor, Thomas Kelly, for not alerting him to the full financial impact of the contract. “Why wasn’t I told?” he said to the paper. He said the union is willing, however, to listen to the city’s concerns. Last week, Gallant and Fahey released a joint statement saying they have agreed to meet to try resolve their differences over the contract, and the wages and benefits owed to police officers.